The Nigerian equities market closed for the week on Friday on a bearish note just like the two previous days. The all-share index rose by 57.43 basis points or 0.21 percent to close at 27,294.21 basis points, while the market capitalisation improved by N19.7 billion to finish at N9.4 trillion at the end trading activities on the floor of the Nigerian Stock Exchange (NSE). A total 24 stocks appreciated in value at the close of trading today and were led by Total, which chalked up N10.27k to close at N329.99k per share, while Seplat followed with a gain of N5 to finish in second place at the value of N380 per share. Forte Oil improved by N2.57k to close at N120.2k per share, Presco Oil grew by N1.55k to end at N43.85k per share and Lafarge Cement Plc rose by N1.38k to close at N50 per share. 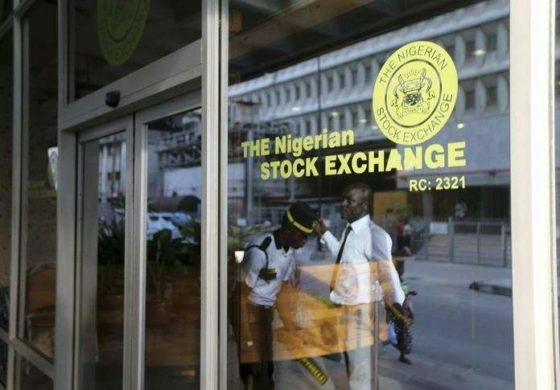 The volume of shares exchanged on Friday slumped by 7.14 million units, recording a total sale of 148.45 million shares in 2,073 deals worth N1.08 billion. Business Post correspondent gathered that at the close of trading today, 11 stocks depreciated in value, while prices of seven shares listed on the NSE stayed unmoved. The losers’ chart was led today by Nestle with a shortage of N6.95k to close at N791 per share, 7up lost N1.10k to end at N158.80k per share, Dangote Sugar dropped 25k to finish at N6.25k per share, GTBank fell by 15k to end at N23.85k per share, while GlaxoSmithKline shed 11k to close at N14.92k per share. Fidelity Bank shares attracted many investors at the stock market today, making it emerge the most traded equity, selling a total of 20.37 million shares valued at N17.5 million, while Transcorp followed with a total of 17.8 million units traded worth N17.8 million and Access Bank finished third exchanging 15.5 million units for N87.8 million.